I hope you enjoy and be sure to tell me what you think below in comments! Lovely! You are GORGEOUS and you can just tell from these pictures you have such a fun and silly personality! Wow, what a gorgeous style!!! hahaha these are adorable pictures!! GIRL! You're a true beauty, love that first pic! What a beautifull photoss! Lve them you look great! great pictures! you are so cute! such a cute post! Adorable photos! For me, the third one is my clasic goof face. So cute, I love all of your silly faces! You are so pretty maddie! Great shots! Pretty pics! Love the one with the sweater and collar necklace! I love these! And they also made me miss summer. Love that bag on the last pick. Your style is amazing!! I really love those pics!! Hahah, these pics are fantastic! I love your funny faces dear, you're so pretty! haha we all have these every shoot! Super adorable….thanks for sharing the FUN!!!! I love your pictures Maddie! I love your stylling! Beautiful pictures! Haha, very cute expressions 🙂 I love these pics! Maddie, those are super cute and funny behind the scene pics. Maddie, these photos are super natural and amazing! Aww even your goofball pics are still pretty darn cute. Great outfits btw. Haha very funny .SOme of them are actually very good pictures. Thanks for sharing these fun photos! cute !!! greetings from austria ! Maddie <3 you are absolutely adorable!!! These pictures are so cute. Loving this post what a great idea! Great outfits girl! I love your blog. So many great things to see and read!!! 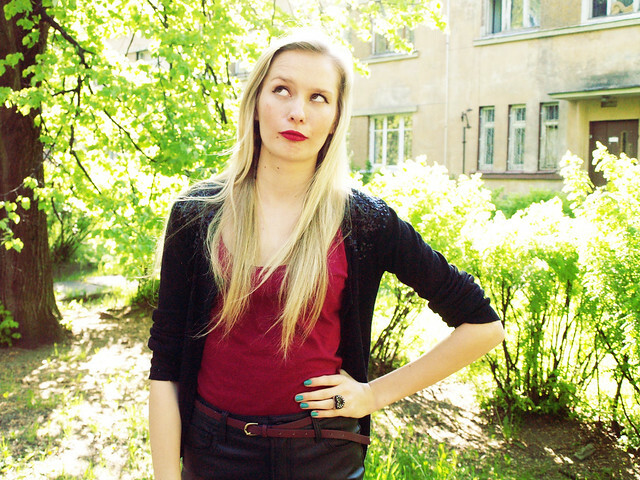 I just found your blog and I have to say that I love your style!